Mini Mag Lite/ Lockback Pocket Knife. 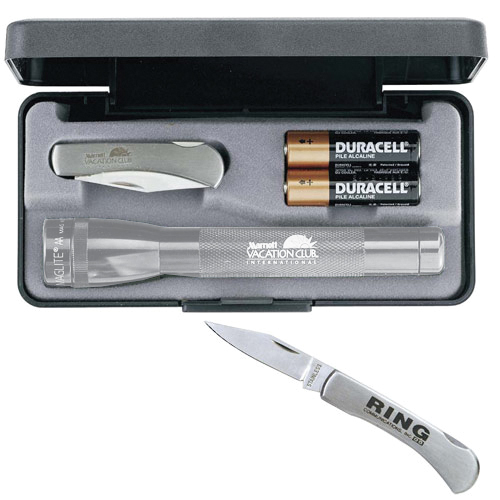 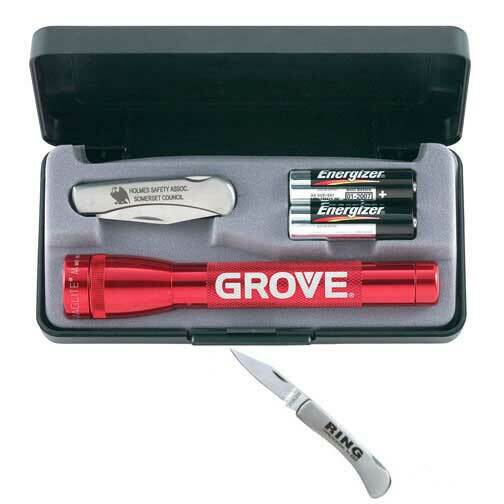 Miniature flashlight and folding lock back all stainless steel pocket knife (2 1/2" closed) set. 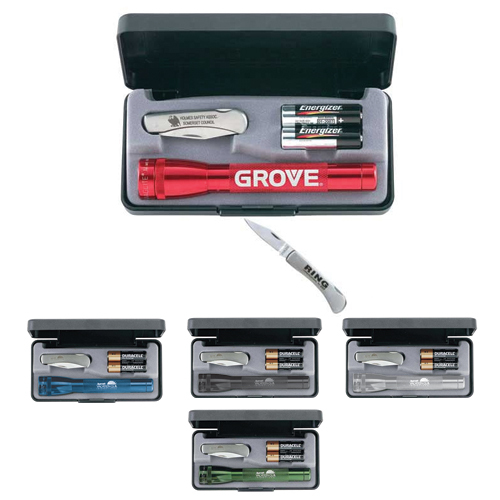 3" x 3/4" x 1/2"
Imprint Area: 5/16"h x 1 1/2"